Welcome to Agape Community Insurance Agency, Inc.
Agape Community Insurance Agency, Inc. was founded in January of 2003. Sally Fabre has been in the insurance industry since she was 17 years old and has worked for various insurance companies including Safeco Insurance. For Sally, Agape Community Insurance Agency is first an Independent insurance agency but second, her personal ministry. Her passion is serving her community in any way she can and being a resource to help people become who they were created to be. Insurance can be a scary experience and Sally's desire is to make it an enjoyable learning experience while providing you the best price on all of your insurance products. If Agape Community Insurance Agency cannot provide what you need, they have networked with other insurance agents in the area that can hopefully serve you. Agape Community Insurance Agency looks forward to helping you with all of your insurance needs. Everyone wants to save money on auto insurance in Aloha, OR. Our Insurance agency can help you find the right auto insurance in Oregon by shopping your rates and coverages with the top insurance carriers in Oregon. As a licensed independent insurance agency, we can find you all of the insurance discounts you deserve and maybe some extra! 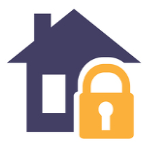 Protect your largest investment with a home insurance policy from our insurance agency in Aloha, OR or Hillsboro. Our licensed professionals will shop an entire network of insurance companies searching for the best rates, best coverage and biggest discounts on your home, auto and even business insurance. Agape Community Insurance Agency can provide you with insurance protection for your toys in Oregon! From motorcycle insurance to RV insurance in Oregon, we have you covered! Call a licensed insurance agent at Agape Insurance to talk about insurance protection for your weekend toys. 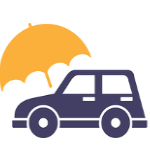 Above and beyond insurance protection for your home and auto with an umbrella insurance policy from Agape Community Insurance Agency. 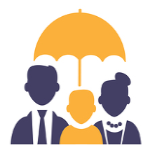 Talk to a licensed Agape Insurance agent today about umbrella insurance protection for your home or auto in Oregon and how this can protect you from a costly lawsuit.